For Canadians with limited data plans, keep tabs on how much you’ve used is essential if you want to avoid costly overages. Our go-to app for monitoring our usage is XVision’s DataMan Next. The company has announced they have released an Apple Watch version of their app, which will allow users to check data and quickly glance at how much is remaining, cleverly using colours just like their iPhone app. 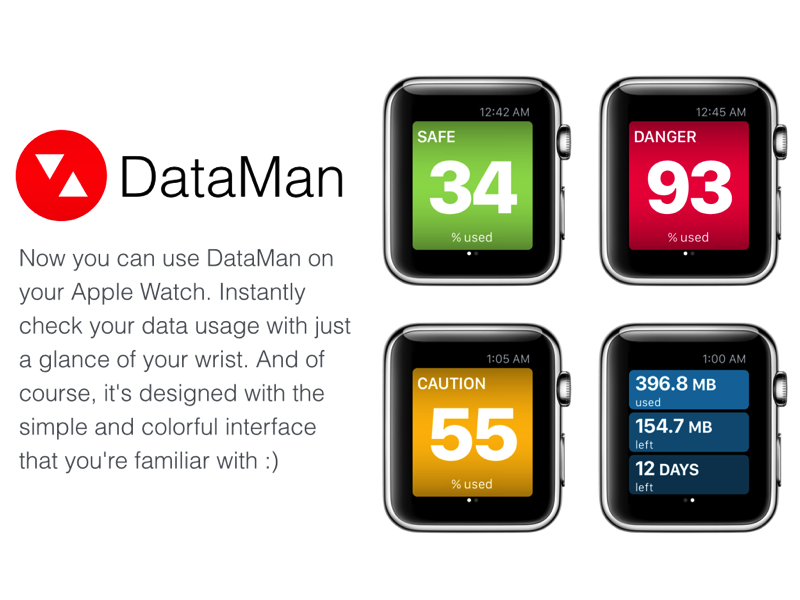 DataMan for Apple Watch is available for DataMan Next ($2.29) and DataMan Pro ($6.99).